Grace Holland is living a normal, if unexciting, life with her husband Gene and two small children. When the coast of Maine catches fire after months of drought, she must find away to save herself, her kids, and her unborn baby. Grace and her best friend Rosie escape the flames at the ocean's edge, where they dig themselves into the sand and hope that the water will save them. In the morning, their lives have changed forever: their homes and town are destroyed and they don't know the fates of their husbands. 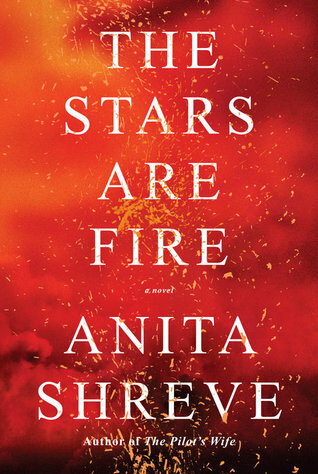 The Stars Are Fire follows Grace during and after that terrifying night, as she finds out what her life holds after the flames have been doused. This is my second Anita Shreve book and I find myself really impressed with her ability to create a mood. From the opening pages, it is apparent that things are not right with Grace's town or with her marriage. You know what is going to happen, but Grace does not. Shreve expertly builds the tension until the night of the fire. Just when you (and Grace) become comfortable with her new life, something surprising happens with the potential to destroy everything Grace has worked so hard to build. I certainly understand why so many readers get excited when a new Anita Shreve book comes out and I am happy to have a backlist to enjoy. Ramona had a wonderful summer with a girl who was visiting her Mississippi town. But fall begins and things are about to get difficult: her dad is barely making ends meet, Ramona is juggling several jobs, her sister Hattie is pregnant, and Ramona's best friend Freddie just came back to town. Ramona and Freddie quickly fall into a rhythm, as if the two friends had never been separated. They start spending all their free time together, even swimming at the local pool together in the mornings. But Ramona is confused by their growing affection: does she date girls or boys now? Ramona Blue is an excellent follow-up to the unforgettable Dumplin'. 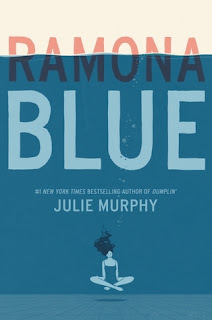 Julie Murphy has written another heroine that you can't help but adore. This story gently, but firmly, points out and challenges privilege and assumptions about race, gender, class, and orientation, all without veering into treatise territory. While I don't think everyone has a year that changes everything, some of us do. This is that year for Ramona and it is a joy to follow her as she discovers what is important to her, who she loves, and what she is willing to fight for. I always finish a Julie Murphy book feeling like I experienced everything myself alongside fascinating and lovable people, which is a pretty wonderful way to remember a story. It so nice to see a great review of The Stars are Fire from someone fairly new to Anita Shreve books. I've read a lot of her work and have liked many of them. For some reason, I was a little reluctant to try this one, but may need to reconsider after reading your review. I kind of went back and forth myself, but finally picked it up when I saw a lot of early praise. I think I'm a little squeamish about "kids in danger" stories, but this was done well and the fire really happens in the first 50 pages or so.